Being a homeowner isn’t just about buying a property for you and your family. When you’re a homeowner in Watertown, New York, you should also think about the expenses you’ll accumulate in the long run. For example, you have to consider the repair and replacement costs of your appliances and fixtures. Otherwise, you won’t be able to use all of this long-term. And most importantly, as a homeowner, you should be financially prepared to pay for your energy bills. This is one way of making sure that you and your family will be comfortable while staying at home. Schedule regular checks with the professionals. The heating and cooling fixtures in your home are your investment. You’ve probably saved a lot of money before you can afford to have all of these installed in your home. 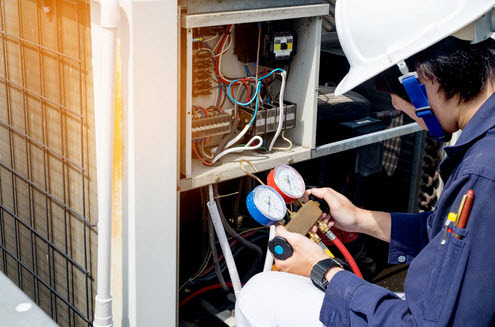 If you want to increase the lifespan of these utilities, work with professionals who can regularly check your home’s heating, ventilation, and air conditioning (HVAC) system. Businesses, such as eandvenergy.com, can check your fixtures at home, diagnose problems and provide necessary solutions. When you have professionals working with you, you can guarantee that your HVAC system is working in the best way possible. The filters in your home play an important role in the temperature indoors. If your filters are working properly, you’ll be able to enjoy a humid or cool temperature without waiting too long. However, when your filters are dirty and not maintained properly, you won’t be able to experience such convenience. In fact, a dirty filter will require your furnace or heat pump to work harder. As a result, your energy bills will skyrocket. Steer away from this direction simply by swapping your filters at least once a month. This is a simple task which you can do on your own. Only use your heater and air conditioning when needed. A lot of homes use their heaters and air conditioning units 24/7. They would usually turn these on at the beginning of each day and are not mindful of when they’re going to be turned off. This is especially true if the weather is too cold or too hot outside. Doing this might be convenient for your family, but this is one of the reasons why you’re paying expensive energy bills. If you want to save on your heating and cooling costs, consider the temperature outside so you’ll know how to maintain a comfortable temperature at home. If it’s too hot outside, open your windows and doors to let the air in. Use clothing to save money. Depending on where you’re living, using an HVAC system at home can be convenient when the weather is always changing. When summer is starting, you can simply turn on your air conditioning. When the weather gets too cold during winter, you can utilize your heater. Your HVAC system at home can be a godsend, but if you want to save on your heating and cooling costs while living in Watertown, New York, pay attention to your clothing first. Instead of using the air conditioning unit or heater, wear clothes depending on the weather. If it’s too humid, wear cotton-based clothing at home. If it’s too cold, layer with several jackets. Regularly check door and window seals. You’re paying for the air you enjoy at home. Regardless if it’s warm or cold air, you’re spending money from your pocket. If you don’t want any of these to be wasted, regularly check your door and window seals. Your entire home and all of its rooms should be sealed to allow air to stay in one area only. If you’ve noticed that your home is not sealed, fix these immediately. You can repair this problem on your own or hire professionals to do the job for you. Many homeowners think that saving money on heating and cooling costs is far-fetched. You’ll probably think that because these utilities are used by all of your family members regularly, so saving costs on energy bills might be impossible. This is a misconception. You can actually save a lot of money from your heating and cooling costs simply by using the right strategies, like the ones presented in this article.